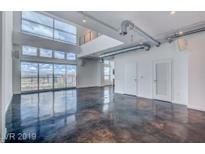 Below you can view all the homes for sale in the Newport Lofts subdivision located in Las Vegas Nevada. 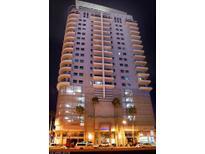 Listings in Newport Lofts are updated daily from data we receive from the Las Vegas multiple listing service. To learn more about any of these homes or to receive custom notifications when a new property is listed for sale in Newport Lofts, give us a call at 702-323-5986. Walking distance to restaurants,galleries & bars. MLS#2088210. One Realty. A rooftop pool/gym includes a running track around the top of the building and The Sky Lounge Social Room features TV’s and a pool table with plenty of room for entertaining. MLS#2086484. BHHS Nevada Properties. In the heart of Arts District and 2 blocks from galleries, coffee shops, bars, cinema and Art Square Theatre. MLS#2087316. One Realty. **HOA includes Gas, Water, Trash, & Sewer MLS#2086480. Platinum R.E. Professionals. Located in the heart of the Arts District and everything happening in Downtown. MLS#2082711. Associa Nevada South. Highly upgraded with custom cabinets, Kohler purist bath and lots more. MLS#2073560. Vertex Realty & Property Manag. Come experience Downtown Living at its best! ! MLS#2071071. Pivot Modern, LLC.